Harry is a writer. His first book topped the bestseller list but was ridiculed by the critics. He is working (and drinking) hard to gain critical approval but the barking of his neighbour’s dog is a constant annoyance. He tries to deal with the dog using sleeping pills but this leads to an escalating feud with his neighbour Malcolm. Malcolm is an Estonian who has come to Ireland in search of the American dream (he was refused entry to America). He is a small time criminal and smuggler of illegal cigarettes. Though he is trying to stay under the radar, Harry’s treatment of his dog is testing his patience and his temper. The arrival of a student writer who fancies herself as a diplomat is the catalyst. Will her attempts at mediation reconcile these ill-matched neighbours or push them finally over the edge. 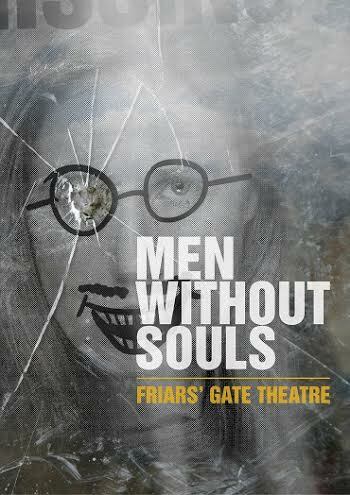 CallBack theatre is delighted to be part of Limerick City of Culture and MEN WITHOUT SOULS is supported by Limerick City of Culture, Ballyhoura Development and Friars’ Gate Theatre.